(TibetanReview.net, Apr19, 2016) – China is to eliminate, at least on paper, rural poverty in Tibet Autonomous Region (TAR) by 2020, the end of its current Five-Year Plan period, while bringing down overall regional poverty rate to 5%, reported China’s online Tibet news service eng.tibet.cn Apr 14. Despite decades of a much-touted double-digit annual growth, the region continues to remain the poorest in the People’s Republic of China. 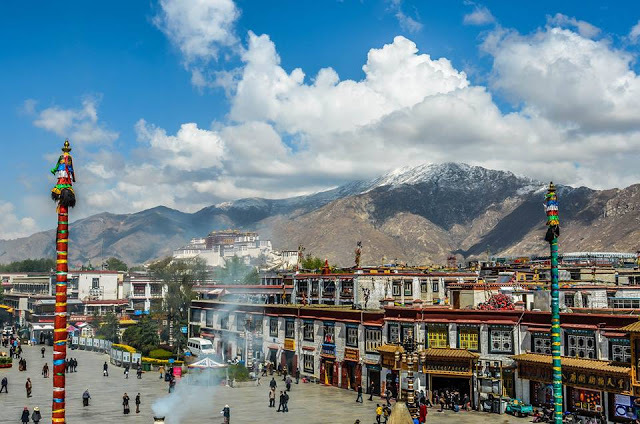 “In order to be victorious in the war on poverty, in parallel with implementation nationwide of comprehensive better-off society, the Tibet Autonomous Region Party Committee and government have indicated that during the 13th Five-Year plan they will standardly implement and guarantee total alleviation of poverty for 590,000 people,” the report said. Over 80 percent of Tibetans live in rural areas whereas the region’s urban sprawls are dominated by Chinese immigrants who have benefited from all the favourable and preferential policies that China had implemented over the decades to ensure the region’s leapfrog development and speedy integration with China.